Convert EML to Mac Mail, Thunderbird, Entourage etc. EML to MBOX Converter is a flourishing program, that helps to perform an accurate conversion from EML file (Outlook express, thunderbird, windows mail and windows, etc.) to MBOX files. The software gives the faster conversion effectiveness along with the entire your emails, attachments etc with keeping the original format intact. Covert EML to MBOX Software facilities to Export EML (Selective OR Multiple) into MBOX files. Tested over 18,000+ EML files to MBOX conversion at a time. Option to create folder-wise MBOX file. Convert EML to MBOX that can be easily imported to Thunderbird, Entourage, Postbox, Pocomail, spicebird, Seamonkey, Mail Copa, The bat! etc. Maintain such folders structure and email formatting at the conversion time. 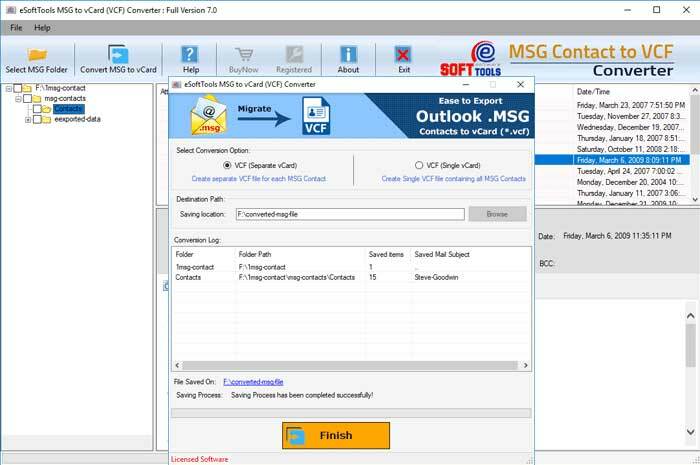 EML to MBOX Converter Software supports to recover multiple EML files from different folders in order to convert batch EML messages to MBOX format with preserve data. The converted MBOX file can be open in different MBOX supported mail client’s application such as- PocoMail, PowerMail, Mozilla Thunderbird, Splicebird, SeaMonkey, Entourage etc. No size limitation: Tested on 5500+emails, at the time of conversion process it will preserve email formatting as it in MBOX format. EML to MBOX Conversion Software helps users to extract EML file and Export EML to MBOX. EML to MBOX Converter Software provides an option to select the entire EML files at once to perform speedy conversion into MBOX file. So that mean you can add multiple EML folders or emails for conversion them into MBOX. This Software stores the email formatting, font size, color layout and text style etc. while migration EML files to MBOX files format. And the good things in the software is its capability to extract emails that has attachments also while conversion. 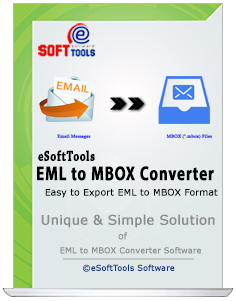 EML to MBOX Converter Software can convert EML files from Windows Mail, Outlook express and thunderbird to MBOX files along with emails properties and attachments. Software perfectly recovery of EML file from different mail clients for conversion. If users want to convert attachments also of EML file, then with this EML to MBOX Converter Software they can convert EML files to MBOX files with entire attachments data. Software keeps attachments hierarchy during conversion time. Software doesn’t require the size limitation of EML file it mean any size of EML file data you can convert into MBOX file that you can open in several MBOX mail clients such as- PocoMail, PowerMail, Mozilla Thunderbird, Splicebird, SeaMonkey, Entourage etc. EML to MBOX Converter Software facilities create the single MBOX file for each folder of EML files. With using application, you will get the opportunity to generate single MBOX file for saving the multiple EML files or folders with preserve data. Demo Limitation - The Demo Version demonstrate you complete working process and facilitates to export 10 EML to MBOX file. Select Individual EML files from multiple locations. Add Bulk Outlook EML files by selecting EML folder. Verifies to load all selected EML file and ready to convert. Software Ready to Export EML to MBOX File. 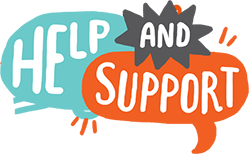 Really, very good program, I used this EML to MBOX Converter software that solved my problem and provided me good conversion of EML to MBOX thanks a lot…. Before using the software, I had no idea that how to convert EML to MBOX file but as I used this software my thought is changed. And using this program I successfully converted EML to MBOX format with preserve data. Thanks a lot.